A new report from the American Automobile Association (AAA) shows that while the majority of drivers in the U.S. are open to autonomous vehicle technology, they are still skeptical of fully self-driving vehicles. After years of increasing traffic fatalities, including the deadliest year on U.S. roadways in nearly a decade, autonomous technology provides a strong solution to dangerous driving behaviors. However, nearly three-quarters of American drivers reported feeling afraid to ride in a car with self-driving capabilities. Only 10 percent of those surveyed reported they would feel safer sharing the roads with fully autonomous vehicles. In response to the overwhelmingly negative reception, AAA has urged automakers to gradually introduce autonomous technologies to ensure American drivers are well-informed and comfortable with self-driving vehicles. AAA conducted a similar survey in 2016 to measure U.S. driver’s reaction to self-driving vehicles becoming a new standard on American roads. The survey produced nearly identical results, as three-fourths of U.S. drivers feared to ride in a self-driving car. However, 59 percent of 2017 participants are now ready to accept some form of autonomous technology in their next vehicle. While this marks an improvement in American’s outlook on self-driving vehicles, most are not yet ready to fully trust self-driving technology. AAA’s 2017 survey reveals that autonomous technology appeals to many drivers in the U.S. However, that appeal often depended on the driver’s age and the extent to which he or she has in controlling the vehicle. More than half (54 percent) of U.S. drivers feel less safe at the idea of sharing the road with a self-driving vehicle. More than one-third (34 percent) of those surveyed are indifferent to driving next to a vehicle that could drive itself, and only 10 percent reported feeling safer. AAA’s survey found that 59 percent of U.S. drivers would like some form of autonomous technology in their next vehicle. 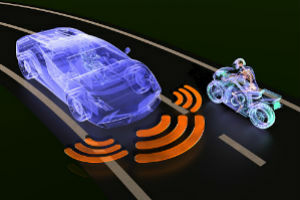 The prospect of owning a vehicle with these capabilities did not appeal to 25 percent of those surveyed, while 16 percent were unsure. Of those who participated in AAA’s survey, 78 percent fear the idea of riding in a self-driving vehicle. Those who were most susceptible to this fear belonged to the baby boomer generation (85 percent). The next age group that was most reluctant to ride in a self-driving was Generation X (75 percent), followed by millennial drivers (73 percent). Male participants were the most accepting of the technology, while women largely rejected the idea of riding in a self-driving vehicle (85 percent vs. 69 percent). AAA found that 81 percent of survey respondents felt that autonomous vehicle systems should be consistent and work similarly across all vehicle makes and models. Many vehicles on the roads today come with semiautonomous features, but there is no consistency in their application between vehicles. This could be a contributing factor to American’s fear of the technology. Despite the results of the 2017 survey, AAA is striving to increase the testing of automated vehicle technologies in hopes that more automakers will update more models with these capabilities. Positive results from testing of semiautonomous features, such as automatic emergency braking, adaptive cruise control, self-parking technology and lane keeping systems, has increased AAA’s faith in self-driving technologies and the improved safety they can provide. While AAA continues to promote safer vehicle technology, there are still numerous accidents caused by negligent drivers. If you have been hurt or lost someone you love because of a careless or reckless driver, you may have legal options. The Tulsa auto accident attorneys in Tulsa at The Edwards Law Firm can help you file a claim that will maximize your compensation for pain and suffering, lost wages and medical expenses. We work only on a contingency fee basis, so you do not owe us any upfront fees and will not be charged unless we help you recover compensation for your claim. Contact us today.